Happy Tuesday Trendy Twine! LOVE the new releases!!!! What fabulous new colors - just perfect for Halloween projects! Off to hop now!! LOVE THEM BOTH!!! Can't wait to see the creations, I'm sure they will be AMAZING!!! What a great hop! The projects are freaking awesome and I love the glowing effect the twine has on some of them. Fantastic!! Love the colors. they'll be used all year long. The hop was great. so many cute ideas. I just LOVE the new colors!!!! I LOVE these two new colors....they are one of my favorite color combos. I'm off to hop! What a talented group of artists, Lesley! 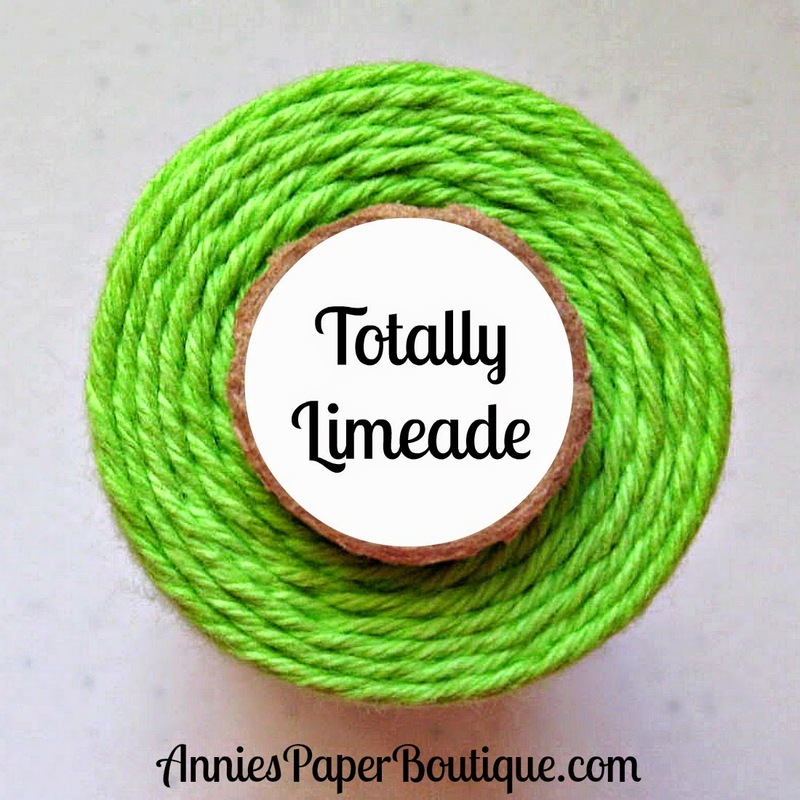 Your new colors are AWESOME-ness and the DT did a wonderful job featuring the Lime Green. Thanks for a fun hop, ya'll! Lovin' both of these colors, perfect for so many occasions!! woot, woot!! love the new colors!! Love all the new colors. I'm new, love the new colors. very vibrant! Love the new solids! Great projects ladies! Love the vibrant colors! Can be used year round!! fun fun Halloween colors, will be great for Birthday cards as well!! Love these two colors how fun! These colors rock and together they would be great. Thanks for the hop. Love the new solid colors!! Oh wow! This came out so super cute! 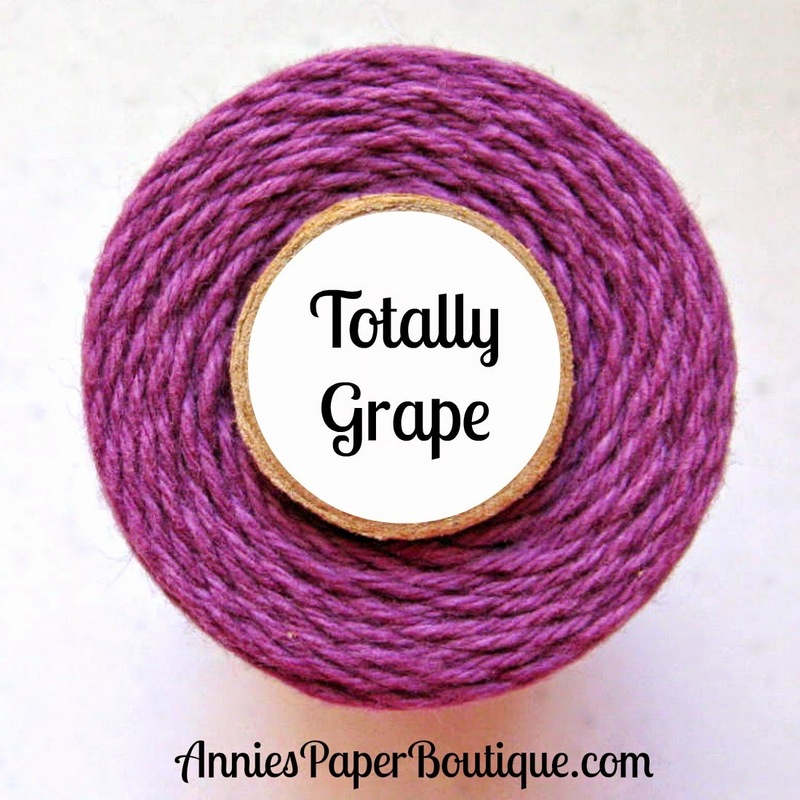 Love the trendy twine color! Such a cute idea for Halloween and very creative. It is always so fun to see new releases! Love the new colors!! I just got an order this weekend to help finish up some Halloween projects...hmm...looks like I need to find something to make for these new colors!!! I love the bright colors!! Would go perfect with some neon ink!! I love the new colors and enjoyed the hop! I seriously can't get the Twine It Up Facebook group link to work! Please check it out!! Awesome colors:) So perfect for Halloween!!! I LOVE the Limeade!! What a great hop! Fun new colors!